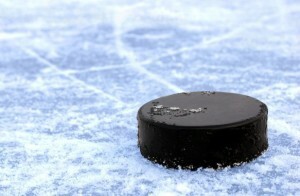 Those in and around Voorhees looking to support a good cause, or several good causes for that matter, will definitely have something to “check” out Aug. 14–16 with the annual Checking for Charity ice hockey tournament. The East Coast version of the annual tournament will soon return to the Flyers Skate Zones in Voorhees and Pennsauken, during which various teams will go head-to-head, each in support of their own designated charitable organization. With each team chipping in its entry fee for the tournament pot, and with money raised at additional events, the better a team performs in the tournament, the larger amount of money that team will receive for its chosen charity. And even if a team ranks lower, all participating teams will still get some money for their charity. As in years past, the tournament is free to attend and open to the public. Dating back to 2009, the annual charity tournaments grew from an original group of local hockey players who got together on Sundays for pickup hockey. One of those players, now Checking for Charity’s president Matt Bader, had the idea to combine that love of hockey with raising money for some good causes, and a few months later, Checking for Charity was born. The first year’s tournament saw $9,000 raised, and now with the group celebrating its seventh year in operation, the tournaments and related events that followed have brought that total to almost $195,000. Bader described the Checking for Charity non-profit and the tournaments it organizes as a way for hockey fans to have good time using the game they love and a way to give something back. In addition to money raised by the teams in the tournament itself, the night before the tournament starts on Thursday, Aug. 13 from 6–10 p.m. there will be a Checking for Charity Beef & Beer party at The Taproom and Grill, 427 W. Crystal Lake Ave. in Haddon Township. Beef & Beer party events include food, beer, music, raffles, auctions, giveaways and more and are open to players, their families, friends or just those who love hockey, philanthropy or having a good time. With tickets $40 online or $50 at the door, all proceeds from the Beef & Beer will enter the Checking For Charity tournament pot. “It’s a good way to talk to people in the hockey community and the broader community and let them know what we’re all about and what the charities are about,” Bader said. Moving into the tournament weekend, Bader said those who attend also usually stick around to watch all the games and barbeque, while also getting the chance to learn more about the charities being played for. “It’s not just people show up to play and leave. It ends up being more of a weekend event,” Bader said. Bader said the tournaments also give hockey fans a chance to watch some fairly “high level” competition, with teams often including a few former AHL and NHL players. “You can show up, buy a t-shirt with money going to the charities and maybe even get an autograph from some old favorites,” Bader said. For more information about this year’s East Coast Checking for Charity event in Voorhees, the Taproom and Grill Beef & Beer or the Checking for Charity organization, visit www.checkingforcharity.com. “It can be a lot of work, and it’s not always the most immediately thankful work, but on the weekend of the tournament, it’s awesome to see that you’re actually making a difference for these charities,” Bader said.